So y'all know I just returned from Type-A Parent Conference. It was a whirlwind of a weekend. I'll admit to a few things I didn't mention beforehand. I was a little anxious. I was driving with someone I'd never met. Rooming with people I'd met once or not at all. And feeling kind of like, wow, this is yet another experience I'm tackling solo. I don't have that "best bloggy friend" that I can run to if I feel overwhelmed. It all turned out okay, though, and I have more to share on these thoughts - but that's a whole 'nother post! One thing I will say? G-d, it felt good to let my hair down. Literally, figuratively, shed that Mommy title for a few days. Ahh. Don't I look relaxed? Type-A Parent Conference is about the people. And yet it's about so much more. I'm starting with some blogging-related informative takeaways. I'm doing my twitter recap post, because last year I felt SO great getting that done. And this year it's a part of my plan to do it again. This time I likely am using more of my own tweets, because of what stuck with me most. But you'll see some RTs as well. And forgive the overload of links. I copied some of this directly from twitter and am too danged lazy to remove them all. Plus, you should really know who I'm talking about - so CLICK 'EM! And honestly, there is no way in heck I am going to be able to fit it all into one post, so be forewarned that many more will follow. Or - like last year - I'll end up doing like a small handful and just fall asleep on my notes. We shall see. Actually, now I'm overwhelmed. So I'm going to stick with a few tweets about the amazing "Why We Blog" panel of these three incredible and beautiful women. @Cecilyk and @postpartumprogr and @redneckmommy. FOMO. Fear of missing out. @cecilyk #typeacon OMG. Yes. I have this, too. Totally. Yes. RT @AlissaEnders: I try not to tweet on weekends. - @redneckmommy thinking of trying to do the same. GASP. Blogging has brought me amazing people. Friends. Community. @postpartumprogr ~ truth. Incredible world to exist in. So supportive. YES. Do it! RT @ErinCLane: I write for me. You should write for you. Focusing on sharing stories that are relevant to me. 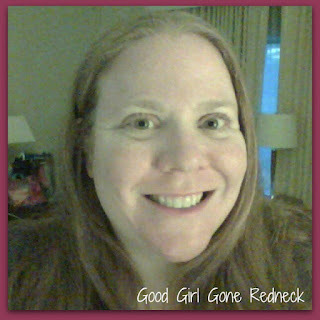 @redneckmommy talks about blogging w.o the mommy blogger badge. LOVE. @kikarose I always love hearing @postpartumprogr talk. She inspires me to write those tough, from the heart, blog posts y'all love. Listening to the incredible @Cecilyk ... Words that hit home and speak to my heart. A-to-the-WOMEN. @MamaMommyMom I hadn't really planned on crying at #typeacon , but this is hitting a nerve. So, just a small drop in the bucket of what this weekend brought forth. This panel of women - incredible, amazing, powerful, unassuming women? The BEST part of the conference. And seriously - wholly - why I was there. I thank them, and Kelby for bringing us this incredible window of time where their words were all I needed and more. And stay tuned for what's sure to be way too many follow-ups to this post! That session was incredible. It ran 30 minutes over and I don't think anyone cared - we were all so enthralled with the words being said. Glad we got to connect! I know, you get so much information that it's hard to write about it when you get home. Sounds like a great experience. And I'm so glad that you had a great time!! That really was such an incredible session, a moment like no other. A big regret of mine is that I missed that. Poor planning on my part, but I'm so glad I was able to read all of the tweets. I wish that I could have gone! It really looked like it was going to be a lot of fun. Conferences are just hard for me to get to these days! I followed the Tweets and there was so much great info there! I loved that session, and I wish it could have gone on even longer! It was a truly amazing session. Hearing their posts and insights makes me want to make time to be a better writer. I so need to chat longer with you next year. Sounds incredible. So glad you had the chance to experience it and share it with us. What a truly great recap - love the Twitter spin on it!